Kerry Bishe is smashing convention in the hard-hitting, ever-evolving role of Donna in Halt & Catch Fire. The young actress sat down with MONROWE to talk STEM, NASA, and what it’s like being swept off your feet by Pedro Pascal. Ricky Kim: How has playing Donna in Halt & Catch Fire influenced your perspective on and the importance of women in the STEM (Science, Tech, Engineering, Math)? 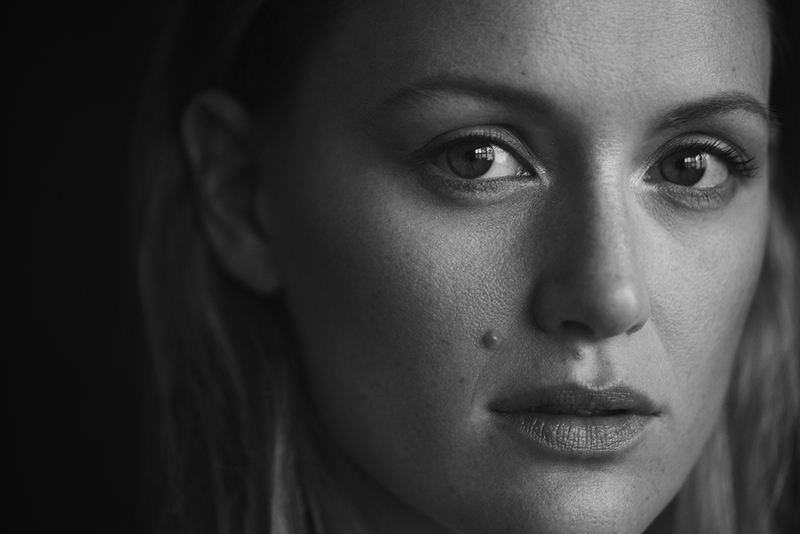 Kerry Bishé: I am unbelievably grateful to have gotten to play a character who has such complexity and the challenges and faults. I got to go to NASA last year as a jury member at Sundance for the Sloan Foundation, which supports science and film and culture. I got to meet some really cool scientists and filmmakers that work in science. Halt & Catch Fire really opened the door for me to be able to engage in that world, and it’s been incredibly gratifying. RK: Are there any characteristics that you actively seek out when you are presented with a role? KB: I like to look for something that’s a little bit outside my comfort zone. I think that helps me to get outside of myself, and it helps me recognize and affirm the parts of myself that I don’t normally look at. That, to me, is when being an actor feels the best. RK: What do you have to say to a younger aspiring actress? KB: I’m deeply dubious about the quality of learning that you can receive from another person. I think that being an artist is something you can’t learn. You’re not born being a great actress or actor. I think it’s something you become, but I don’t know that it can be taught. I don’t know that a person can give you that kind of knowledge. KB: When I think of myself as a young person starting out, I always think about how I was so brave and stupid. There was a part of me that didn’t know any better. I’m still trying to figure out who I am and what I like about it and would like to change about it. I guess I’d say if I have any advice for anybody including myself is: You never arrive anywhere. It’s always a process. RK: What is the number one thing that you love about your job? KB: I think that, in some ways, being an actor and getting to live the life that I live makes me feel like I have an infinite number of lives. I can kind of collect the experiences of other people and that makes me feel like I get to transcend the boundaries of being just simply myself. For example, I was in the Colombian jungle shooting Narcos, and it was one of those times where there was really no acting required — like, a Blackhawk helicopter lands in the jungle in Colombia and Pedro Pascal, one of the most handsome men on the planet, carries you into the helicopter. He straps you in and grabs you by the face as if to say, “It’s going to be okay.” That’s a legitimate experience that I have had! What a fascinating amazing high-stakes drama to drop yourself into. RK: What are you looking forward to in the future, in general? KB: I wrote a TV pilot and I sold it. So I’m developing that, and I’m really very excited. Writing feels like the opposite of acting. I feel like in my job as an actor, you start with something finite, the words on the page, which can then be interpreted in infinite ways. I feel, as a writer, that you have to do the opposite thing. You have this infinite idea that needs to become specific. That challenge is something I’m really excited to work on and develop. I love being an actor, but I think it’s also important to kind of be the person who has the idea. RK: Have you released the title? KB: No, it’s all very much in flux right now, but it’s really fun and exciting. I hope it all happens!